If you are a marathon runner, you’d know it is not easy to run long distances in a given time period. 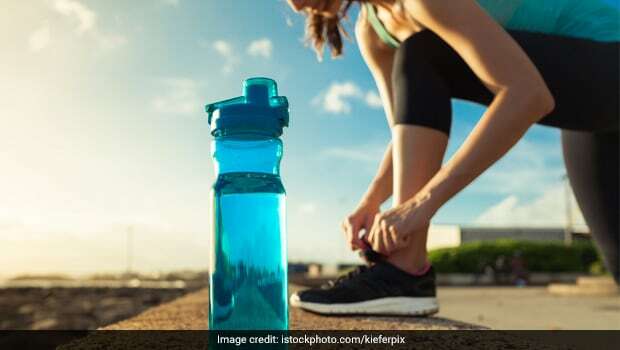 You require long training runs; therefore, it is important to practice proper hydration strategies, stay fit, and most importantly, eat healthy food. For marathon runners, food is more than just simple nutrition; it is fuel to their body. It is not easy to run long distances; however, with the right diet, you can touch the finish line successfully, without feeling tired. As you train for long-distance runs, you not only find out what your stomach can tolerate, but it also trains your gut to handle more calories and fluids. So, we tell you how to keep up with the new changes and how to be nutritionally nourished during and after the marathon. Read on. Avoid eating empty calories; instead choose to eat foods that give you the most nutrients per calorie. Don’t starve or eat too much before the run. Rather, eat a light, energising meal or snack. Don’t eat three heavy meals; instead have small meals every three to four hours to keep energy up and going. The steadier input of food will keep your hunger pangs at bay and help your body maintain stable blood sugar levels. Make sure you are getting enough protein as it helps stabilise your blood sugar and helps you feel fuller for longer. Runners should aim at consuming protein-rich snacks 20 minutes after working out. Add more dairy foods, eggs, quinoa, soy and barley to your diet. Don’t forget to eat something light before the training session or the marathon. Running on an empty stomach will only lead to sluggish workouts and increased hunger or cravings later in the day. Carbohydrates in your diet are equally important; in fact, they are said to be the fuel for muscles. Your body tends to break down carbohydrates to make glucose that is burned in order to produce energy. Before the training or the race, go for more digestible and quick sources of carbs for energy; for instance, you can choose to eat oatmeal. Stored fat is said to be an important source of energy for endurance exercises. Dietary fat, on the other hand, helps your body absorb many vitamins. Your body, when it’s running long-distances, needs a back-up source of fuel when you are short of carbs. Eat healthy fats that include olive oil, nuts, lean meat and chicken. Needless to say, fruits and vegetables are the must-haves in your diet. They contain vitamins and minerals, and are comprise antioxidants and anti-inflammatory properties, which help your body to recover faster from long-distance runs. Before a run, try limiting your consumption of fibre, especially just before the run, as it sits in your stomach and may cause digestive issues during the long run. Load up on foods like eggs, almonds, sweet potatoes, whole grains, oranges, mixed salad, greens, salmon, stir-fry veggies, tofu, chicken, mixed berries, yogurt and fruits among others to have a full nutritional diet. For fluids, trust water to help you recover from the excessive cell damage. Avoid foods like white sugar, legumes, fatty or processed foods, full-fat milk, spicy foods and sports drinks, as all of these are hard to digest and may cause gastrointestinal issues. Go on and make your marathons more energetic and healthy than tiresome and unremarkable.